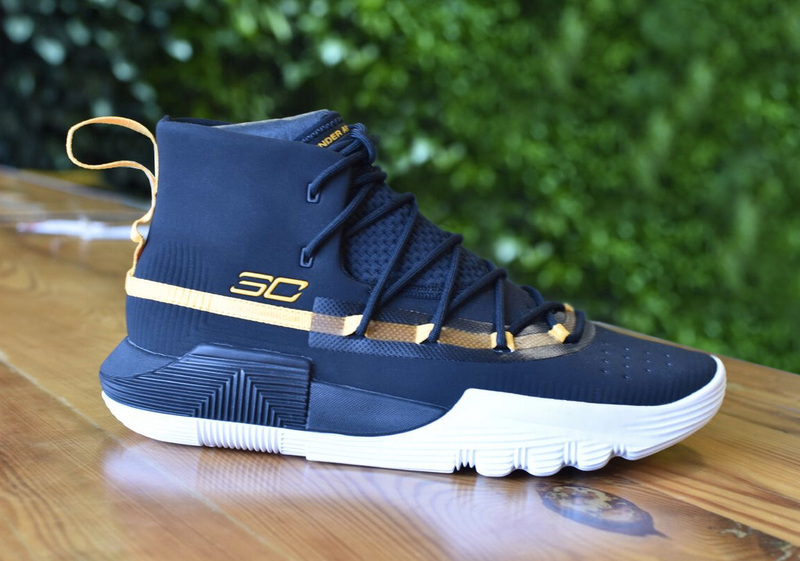 The next Curry 3 Zero looks like an off-court shoe than a performance sneaker in my opinion. Maybe because it seem like it's more bulkier than the Curry 4 and the Curry 5 is a low-top sneaker. However, since this is classified as a basketball performance model, this might appeal to those who prefer a higher cut shoe. No official word yet when it comes to tech specs but the upper looks like a synthetic nubuck of some sort with fuse rands on the lacing system. Let's just hope this one has a good cushion source since the Curry 4 and the Curry 5 is just made up of a basic foam. Although, the shoe is said to fall on the $99 mark so we can still expect it to have no special cushioning. However, these are the times where brands tend to lower the prices of their kicks even though there are more techs put in a shoe. So let's just say I'm hoping that this will have some sorts of special cushioning. Like a different heel cushion perhaps? These are schedule to drop this summer so let's wait and see for official word from Under Armour.